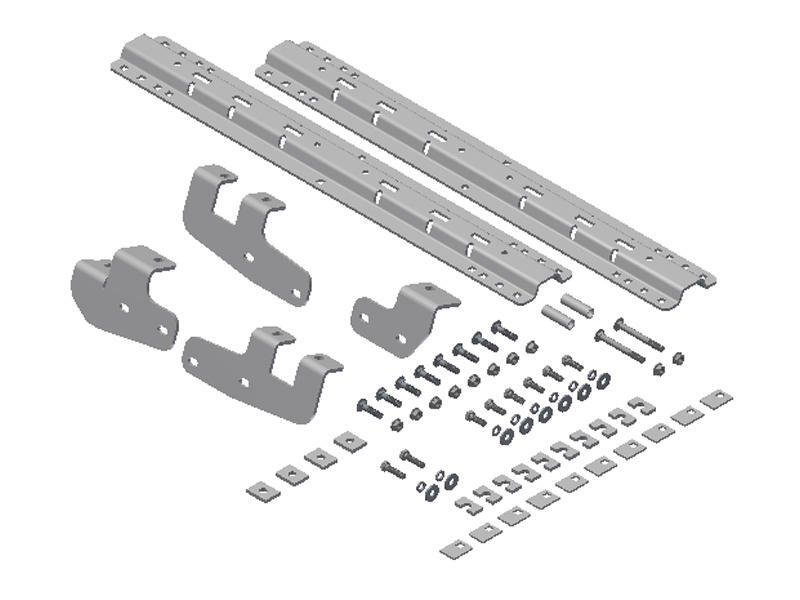 A custom quick install bracket kit significantly reduces the time to install your fifth wheel rails. In most cases, the custom brackets match up with pre-existing holes in your truck frame. B&W fifth wheels BW-3200 or BW-3270 are specifically designed* to be used in conjunction with this kit. These install brackets and rails can also be used with many other popular brands of fifth wheels. 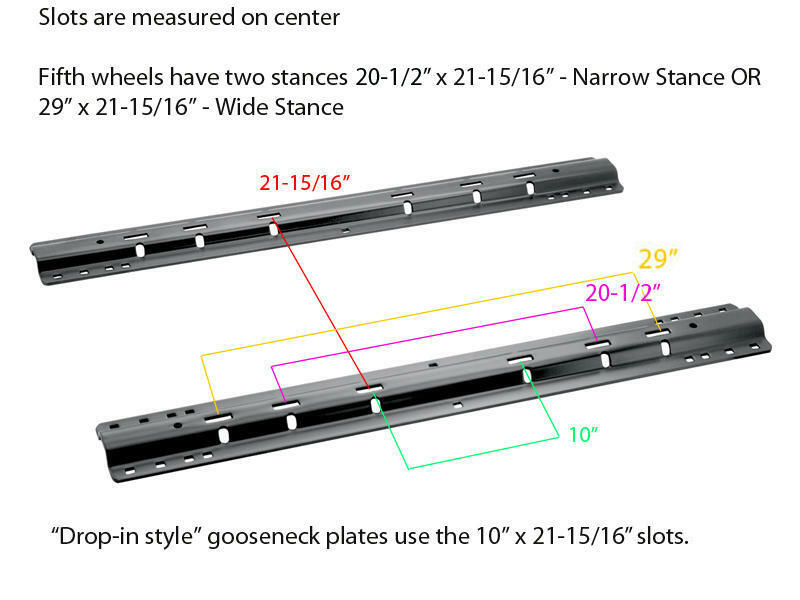 See the secondary picture above for the mounting pattern to match your fifth wheel to these rails. *Depending upon size of bed, width of trailer and the extension of your king pin box. See "Vehicle" tab above for a list of vehicles this Bracket Kit is designed to fit. All hardware is included to mount the rails to these custom brackets as well as the hardware to mount to the frame.